If you're lucky, your family might have no problem sharing a small living space. Smaller homes can actually be a great way to bring the family together - think of everyone congregating in a cozy living area after dinner! However, no matter how easy it if for your kids to share a bedroom, there's something about having to share a bathroom with too many people that can get on anyone's nerves. Eliminate early morning fights over the shower with these tiny house plans that include two bathrooms! 1. 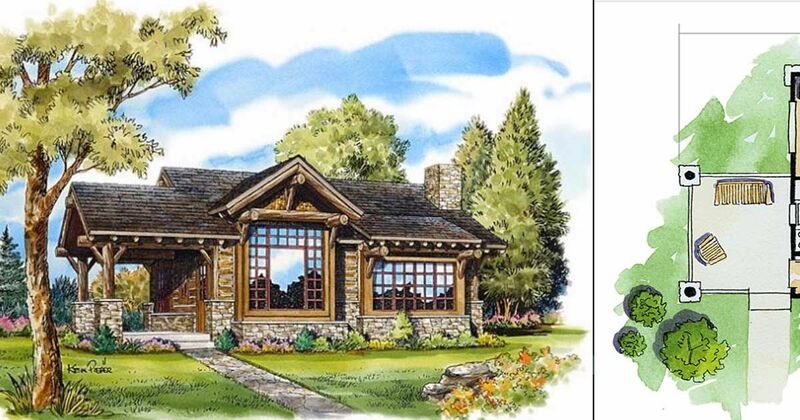 Adorable cottage with large porch from Houseplans. This cozy little cottage from Houseplans was designed to be wheelchair user accessible and energy efficient, and it measures 891 square feet (83 square meters). The spacious front porch is a great spot to visit with neighbors on a sunny day, and it opens right into a large living area with a kitchen. A long hallway is found just off this room, and it leads to two bathrooms, two bedrooms, a laundry closet, and another door that provides access to the deck. 2. Two- story home with floor-to-ceiling windows from Architectural Designs. 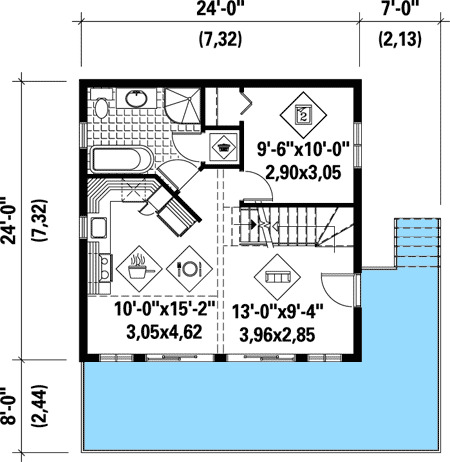 This floor plan from Architectural Designs comes in at 831 square feet (77 square meters). The main living area is composed of an open concept kitchen and living room, which extends outside thanks to a large porch. This room also features large windows that bring in plenty of natural light into the space. 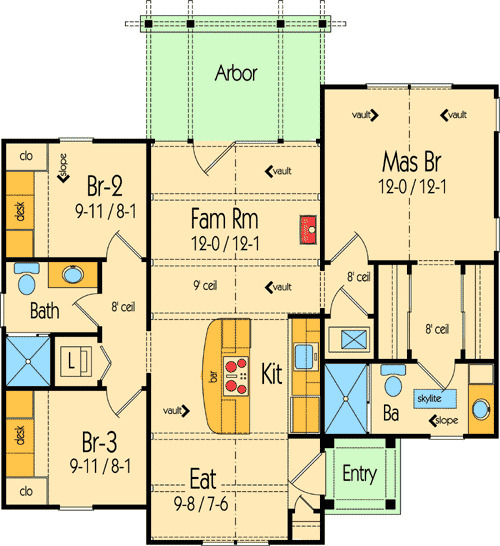 A bedroom and a bathroom with both a tub and a shower are found behind the living room. 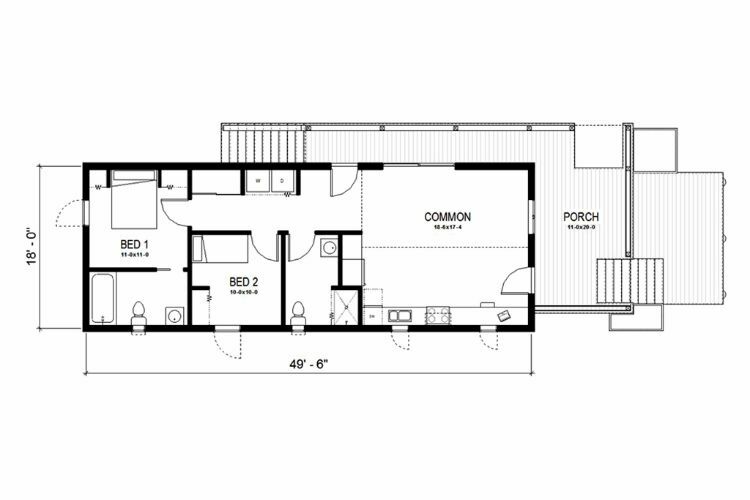 Upstairs, there is a second bathroom as well as a loft-like bedroom that overlooks the main living area. 3. 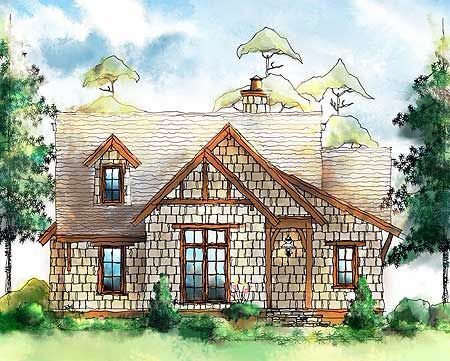 Quaint country cottage from Floorplans. 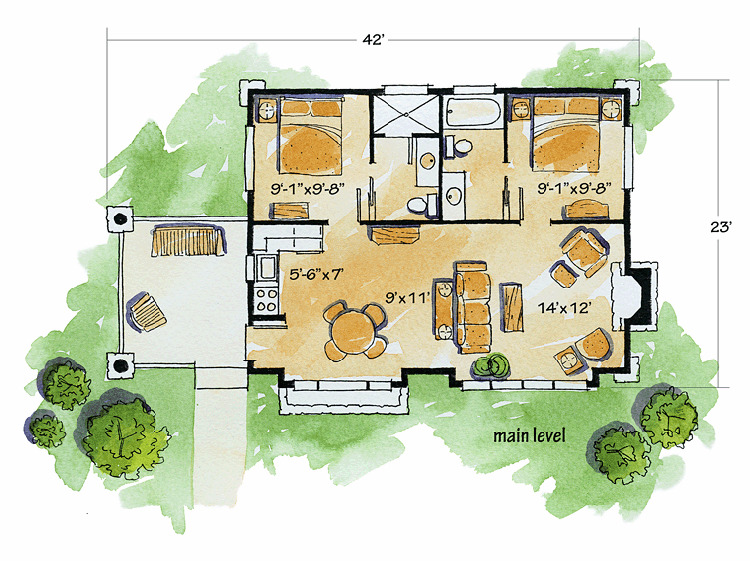 The design of this home from Floorplans is simple yet cozy, and it measures 900 square feet (84 square meters). 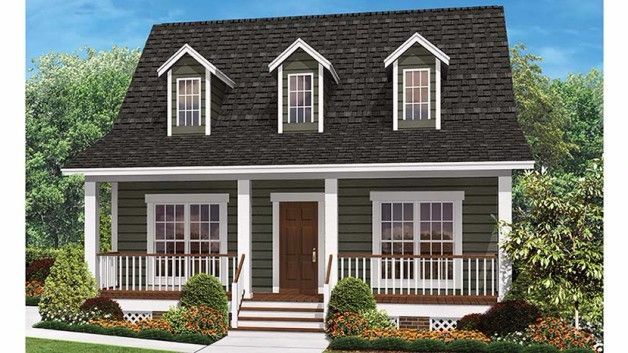 Pass through the large front porch to access the open concept living room and eat-in kitchen, and continue straight through to find the private living space. Two sizable bedrooms are located at the back of the home, and they both have a walk-in closet as well as a bathroom with a tub! 4. 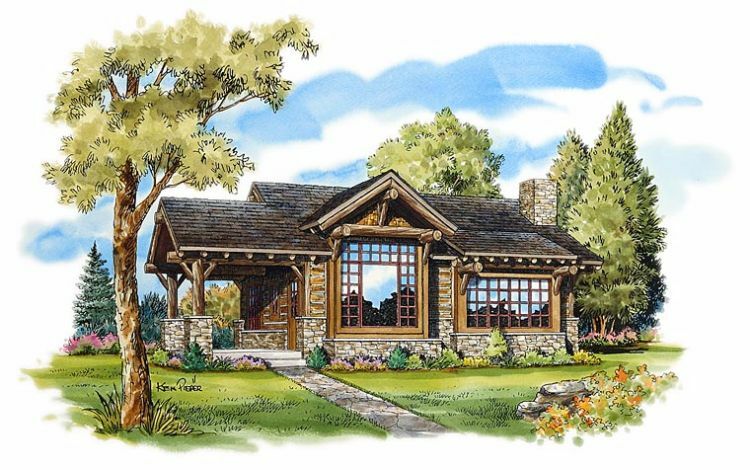 Rustic mountain getaway from Family Home Plans. 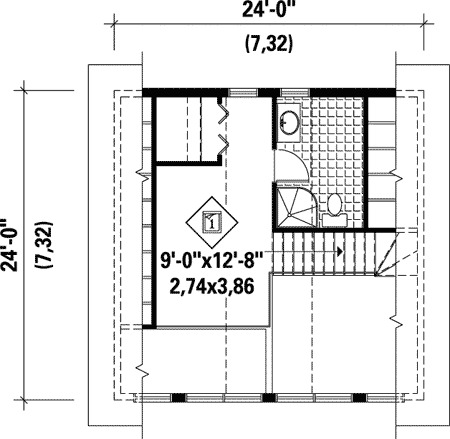 Measuring 681 square feet (63 square meters), this one-story design from Family Home Plans has the perfect combination of communal living space and private space. The front of the home is taken up with an open-concept living room, dining room, and kitchen, and it provides access to a lovely stone patio outside. At the back of the home, two equally-sized bedrooms each have access to their own private bedroom. 5. 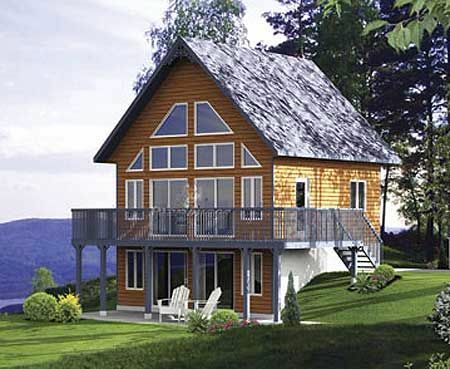 Cozy cottage with breakfast nook from ePlans. This cozy design from ePlans comes in at 767 square feet (71 square meters), and it would be perfect for a single person or a couple. The two-story living room downstairs has a cozy fireplace and great views of the outdoors thanks to the huge windows. The kitchen features an island, as well as a sun-filled dining nook in a box-bay window. 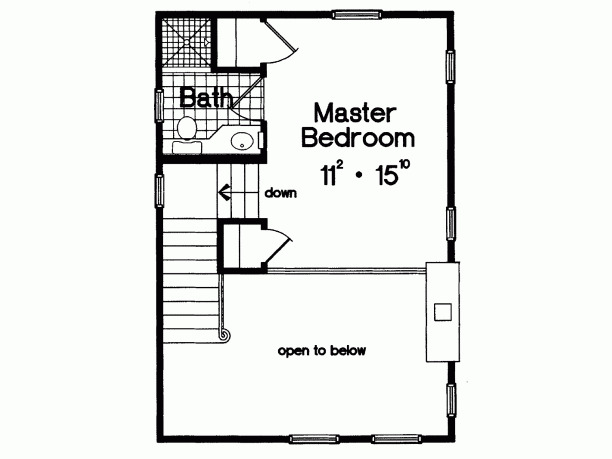 There is a bathroom on this floor as well as one attached to the loft bedroom upstairs. 6. 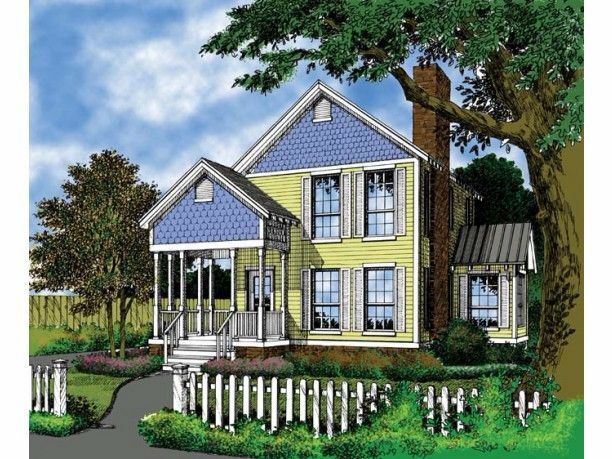 Three bedroom cottage with bathroom skylight from Architectural Designs. 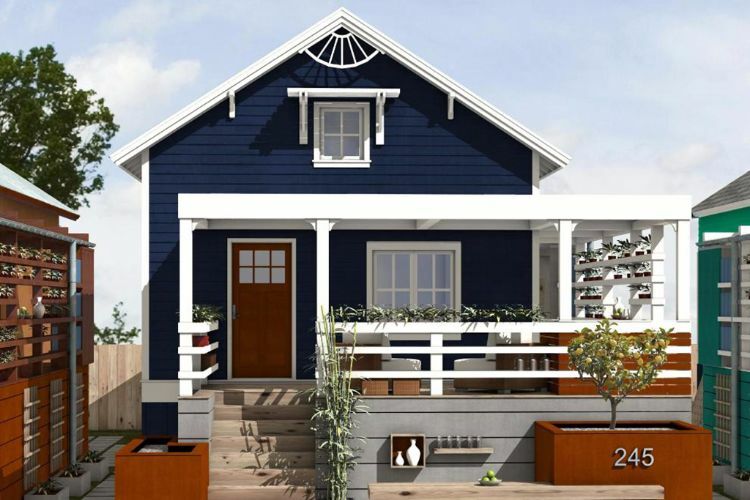 Thought up by Architectural Designs, this plan measures 936 square feet (87 square meters). 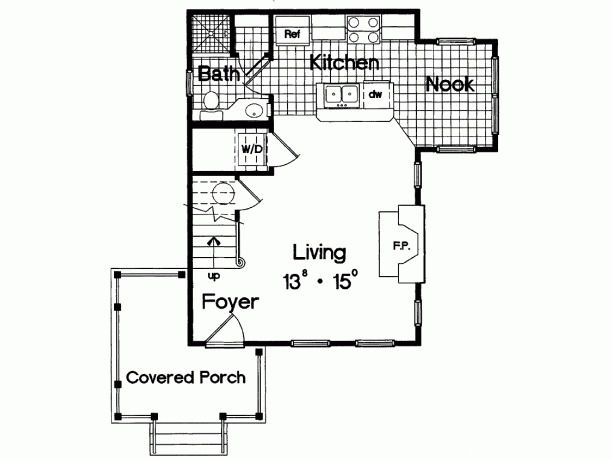 With three bedrooms, it's perfect for a family! The kitchen, dining area, and living room are all found in the center of the home. 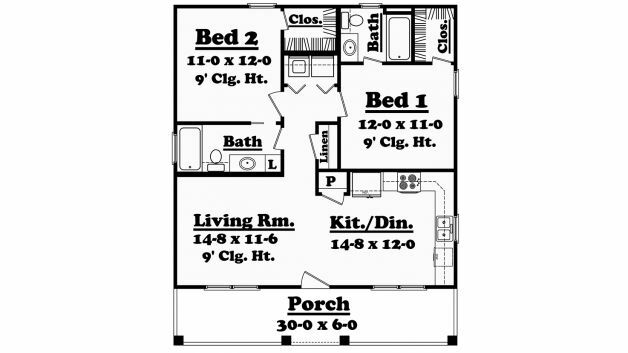 Two bedrooms are located off to the left, and they share access to a full bathroom with a shower. The master bedroom is found on the right hand side of the home, and it boasts a walk-through closet that leads to a luxurious bathroom with a skylight.